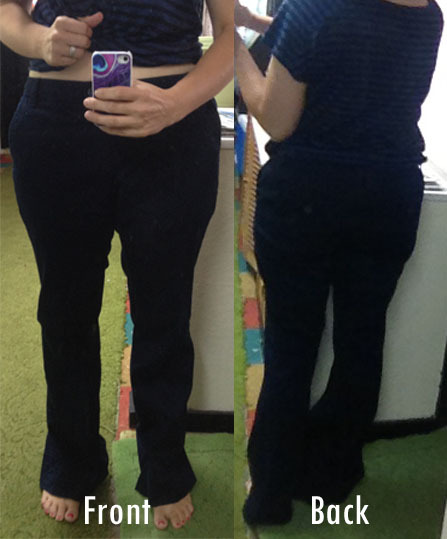 Fabric Mart Fabricistas: Fabricista Refashion: Wide Leg Pants to Skinny Pants! How many sizes too big would you suggest be the max for using this method. It would be great to modify rather than give away the jeans I currently own. They are all big enough they are all much too long. However, would rather give them away than attempt to alter and create something no one will wear. I would recommend doing it on pants that already fit you or maybe one size larger. These pants specifically were one size too big and could have been taken in at the waist if I would have taken them apart. These pants were also more of a wide leg pant, therefore I had a lot to bring at the legs. I hope this helps!